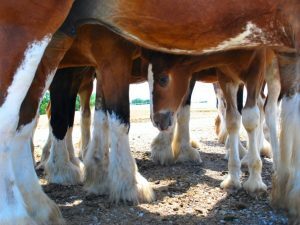 Equine Medical Services is dedicated to providing comprehensive ambulatory care, as farm service is a backbone of our success. 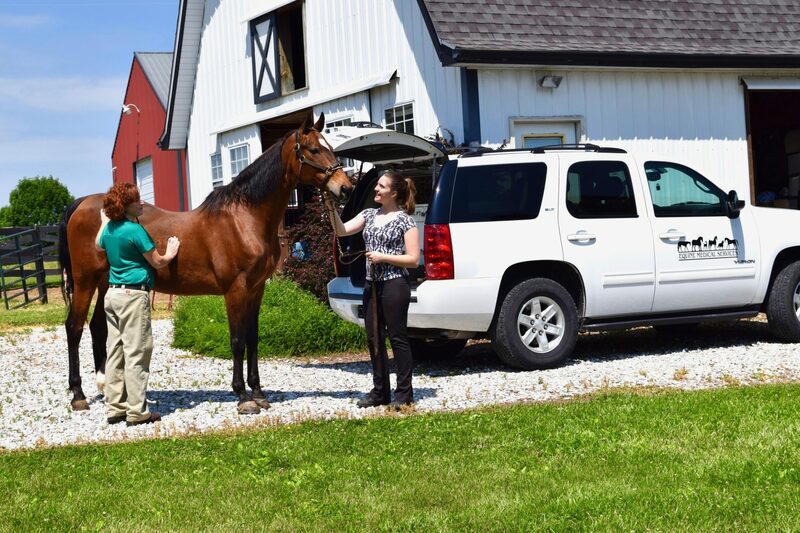 It’s not always convenient or even possible to transport a horse to our facility, especially with an illness or injury, which is why we proudly offer routine and emergency at-home care for horses ranging from standard backyard ponies to world-class performance athletes. EMS maintains a fleet of fully-equipped practice vehicles to facilitate a wide range of services at any location. Each vehicle features a portable x-ray machine as well as equipment for ultrasounds, endoscopies, ophthalmologic exams and lameness evaluations. Our certified veterinarians also provide extensive reproductive care for area breeding farms.